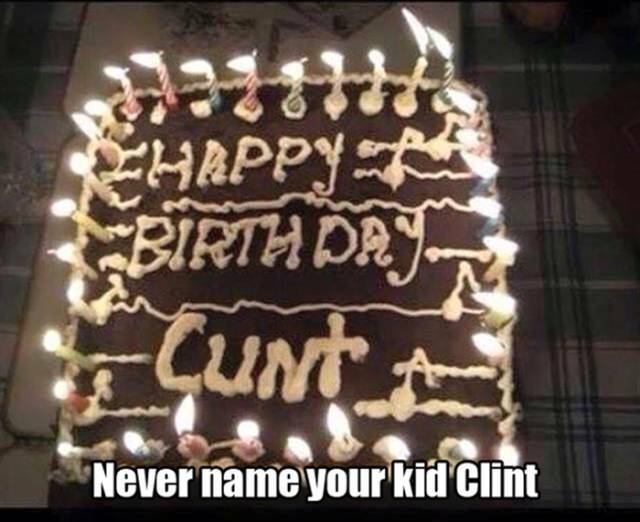 Never name your kid Clint. This Dog Is Loving His Ride On The Back Of A Motorcycle. My last relationship was like Forrest Gump and Jenny. Too old to be a Jedi. Quasi Modo is the winner of the 2015 World’s Ugliest Dog ..
Deadpool is only following one person on Twitter. Should He..
Two dogs won't fess up to who ate all the dog treats. Pogo stick plunger makes unclogging a toilet fun.